Expressing possession is a basic element in most of the languages all over the world. So, in the German Grammar, as well as in the English language, this indication of possession is done by German possessive pronouns. In the following, we will try to describe what German possessive pronouns are and how they are used in a correct way. Furthermore, we will list all the German possessive pronouns. Well, you will see, that there is a differentiation between two different types of these pronouns. By the way, this article on Wikipedia can provide you with some background information about German possessive pronouns. Well, let’s not loose too much time and come to the first part of this article, the description of this type of pronouns. Los geht’s! 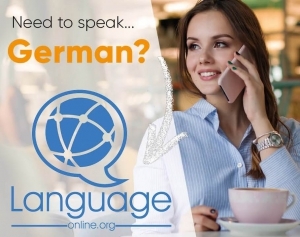 What are German Possessive Pronouns? Was sind Possessivpronomen im Deutschen? First of all, let’s try to describe what German possessive pronouns actually are. Well, as possessive pronouns also exist in the English language, most of you know what they are and how they are used. Nevertheless, it can be useful to define what exactly we are talking about. German possessive pronouns indicate possession. Furthermore, there exist dependent and independent possessive pronouns. Of course, these pronouns have to be adapted to their corresponding noun in case, gender and number. 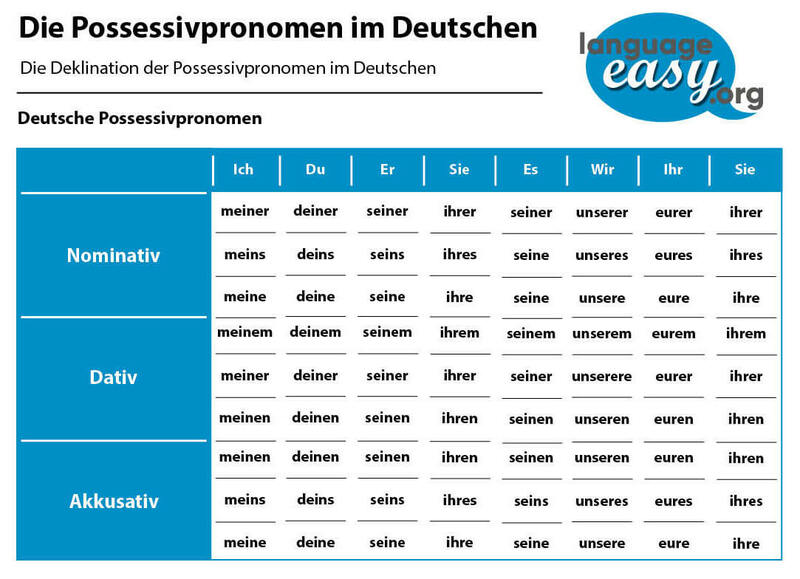 In the following, we will have a look at each type of German possessive pronouns, the dependent and independent ones. Additionally, I’d like to list all of the corresponding pronouns of each type. So, let’s about about this first type of German possessive pronouns, the dependent possessive pronouns. They are also called possessive article, as they usually come before the noun. Well, in the following chart gives you an overview about the singular and plural forms of dependent possessive pronouns in the nominative, accusative, dative and genitive cases. Of course we will try to illustrate the dependent possessive pronouns with some examples. “Mein Hund ist der Beste von allen!” – My dog is the best of all! “Der Freund meines Sohnes ist kein guter Einfluss!” – The friend of my son is not a good influence. Well, I think that we have cleared up the basic about this type of German possessive pronouns. Now, let’s come to the next point and talk about the independent possessive pronouns. So, now we will talk about the other type of German possessive pronouns, the independent possessive pronouns. Usually they replace a previously mentioned noun. As a consequence, they stand on their own in a sentence, which means that they are used together with noun. Well, in the following list you will get an overview about the singular and plural forms in the different grammatical cases. Well, here are some examples that illustrate German independent possessive pronouns. “Wem gehört dieser Hund? – Das ist meiner!” – To whom does this dog belong to? – That’s mine! “Wessen Teller ist das? – Das ist meiner!” – Whose plate is this? – Thats’s mine!